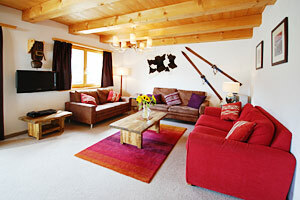 Base your Alpine holiday from Chalet Rhaetia. 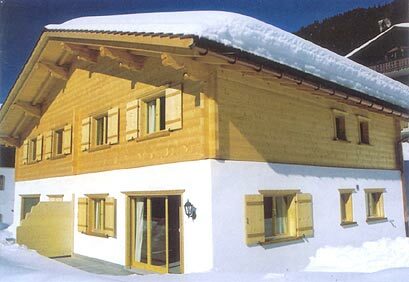 This immaculate wooden chalet was built in 2003 with the capacity to accommodate up to eight people in comfort. Used by the owner as his own "dream" holiday home, it is equipped to a much higher standard than ordinary self-catering accommodation. It has been awarded a "Four Star Luxury" rating by the local Tourist Board. We have installed Wi-Fi broadband & you can now hire a private chef. 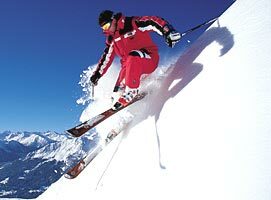 The chalet is just five minutes walk from the nearest bubble car and skilifts, giving immediate access to over 50km of pistes from blue to black. 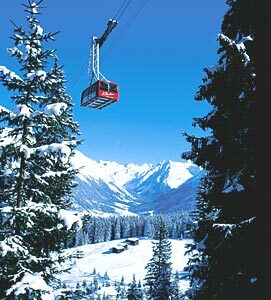 The shuttle bus stops 50m from the chalet to take you within 7 minutes to the world famous Gotschna and Parsenn ski areas. Over 300km of pistes in less than 10 minutes from the chalet! The chalet has one double bedroom with ensuite bathroom and three twin bedded rooms sharing a bathroom and an additional cloakroom. Everything is new, crisp sheets and fresh linen is always on tap. 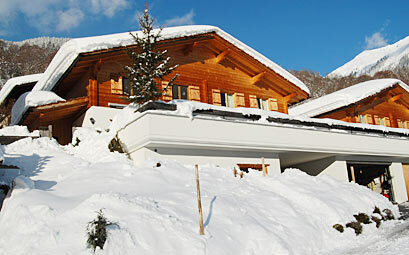 The chalet is a unique blend of traditional pine and Swiss cowbells and pewter, yet modern, bright and functional throughout. Within this website there are pictures of every room, we have nothing to hide! 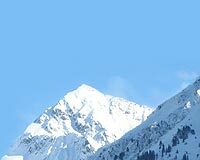 Unusually for self-catering accommodation, Chalet Rhaetia is so convenient that it is not necessary to hire a car for the whole holiday, a valuable saving! 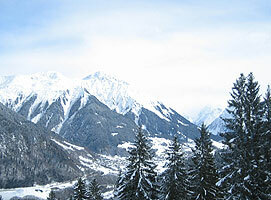 Trains travel from Zurich airport to a 5 minute walk from the chalet with just a train change along the way. Once at the chalet, the free trains and buses do the rest! 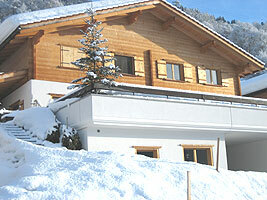 The chalet is equipped with the very latest in Swiss heating and hot water systems. It is warm and cosy. Too tired to cook at the end of a hard winter sports day? There are more than 10 restaurants within a few minutes walk of the chalet, as well, of course, as a well-stocked food shop. 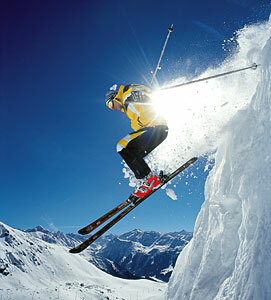 The ski season gets fully booked up so book as early so don't delay booking. 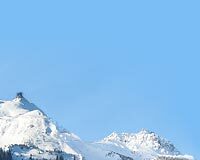 Tour around this website for lots more information about Chalet Rhaetia and the area and how to contact us.